Adding countertops takes about two weeks so, careful planning will need to take place. Counter choices are vast. There are natural stones such as, Granite and Soapstone, Quartz, Glass, Wood, Cement and Stainless Steel. Which one depends on the look you want to achieve mostly. Quartz is the most popular surface right now. it is made of 97% natural quartz, an element that make granite hard. Quartz is crushed and ground up. Then, another 3% of manmade binders and colors are added. Sometimes recycled materials such as glass is added. 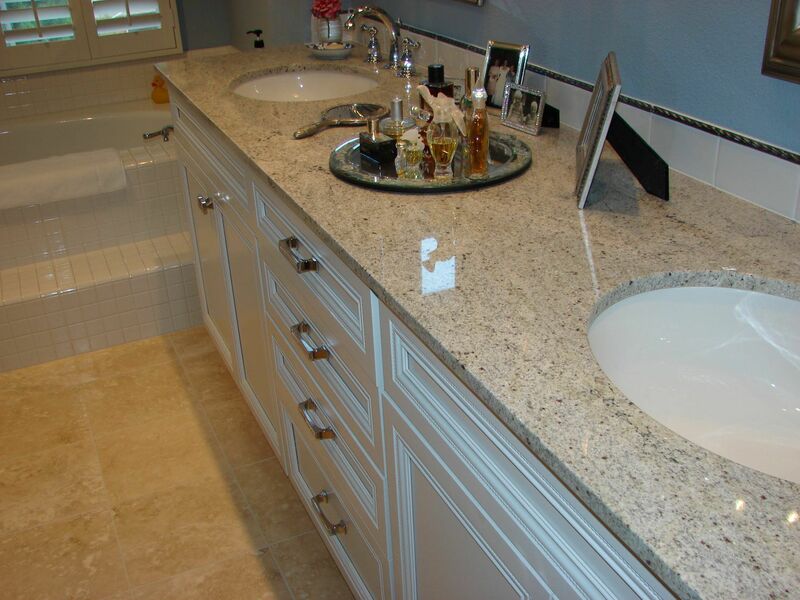 Quartz is a sanitary surface and is scratch and stain resistant. Undermounting your sink is a must to allow you to easily wipe your counter off. 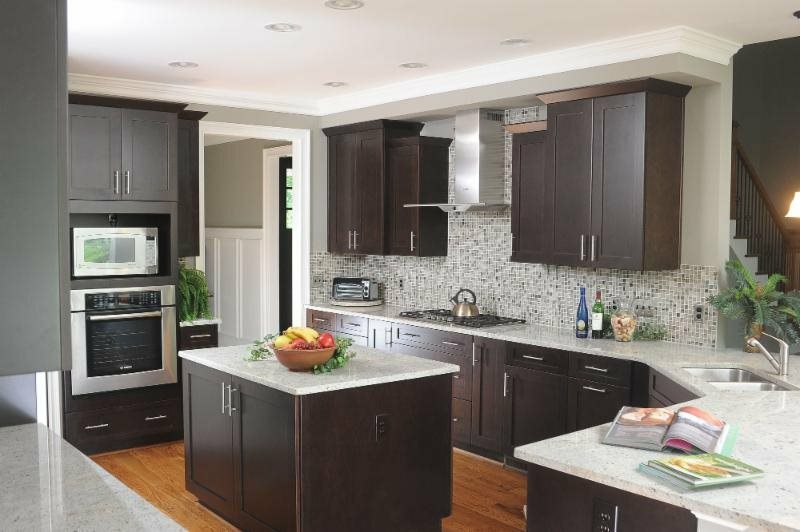 Purchasing new decorative hardware is a great way to give your cabinetry a new look. Watch out for pre-drilled hole centers. Make sure the new hardware will fit into the existing hole pattern. Also, watch out for wear patterns. It’s usually best to purchase hardware that is slightly larger then the old hardware. the finish may be discolored under the old handle and you don’t want that to show. Most quality manufacturers have make each style in various sizes and finishes. Add floor mats, towels and counter objects. this may seam simple enough but most people get it all wrong. Everything needs to go together. Your cookie jar needs to go with your floor mat that needs to go with you cookware. If it’s out it needs to be decorative. remember less is more. Take that burnt, finger printed toaster off your counter and place it in a cabinet. Your not using that juicer anymore so, you can remove it too. I know, I know your going to be dieting soon. Break it back out after the holidays. 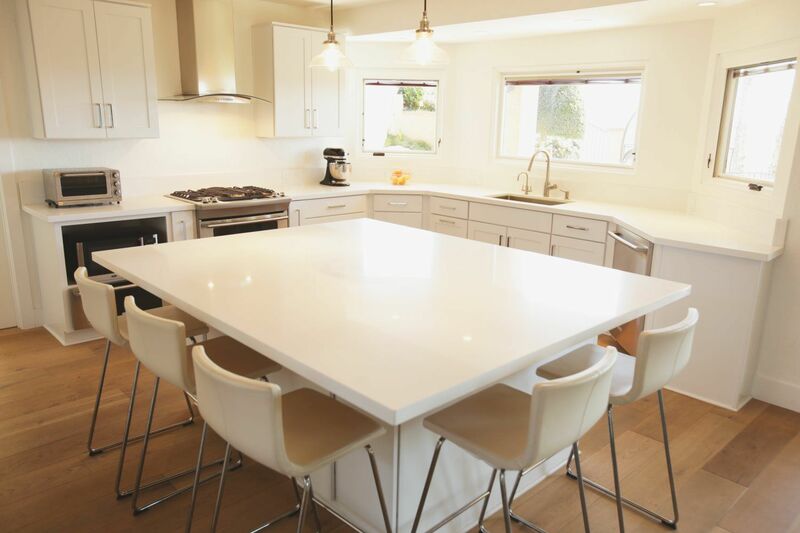 Once you have that beautiful new quartz counter you’re going to want to dress it up with a new backsplash. 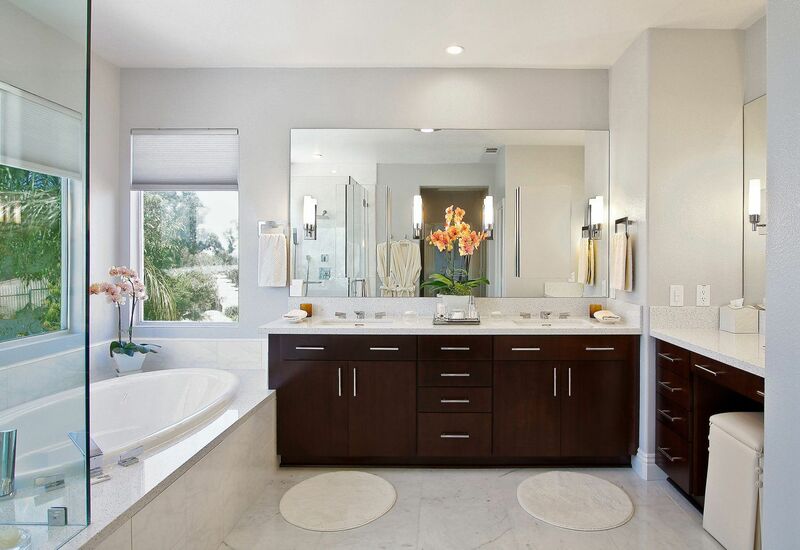 You can use porcelain, glass, natural stone, ceramic, metal or wood. Some of the most popular looks right now are large scale rectangle glass. Run it vertically for a look your friends and family probably haven’t seen. I would recommend using a quality grout such as, Custom Building Product’s, Fusion grout. 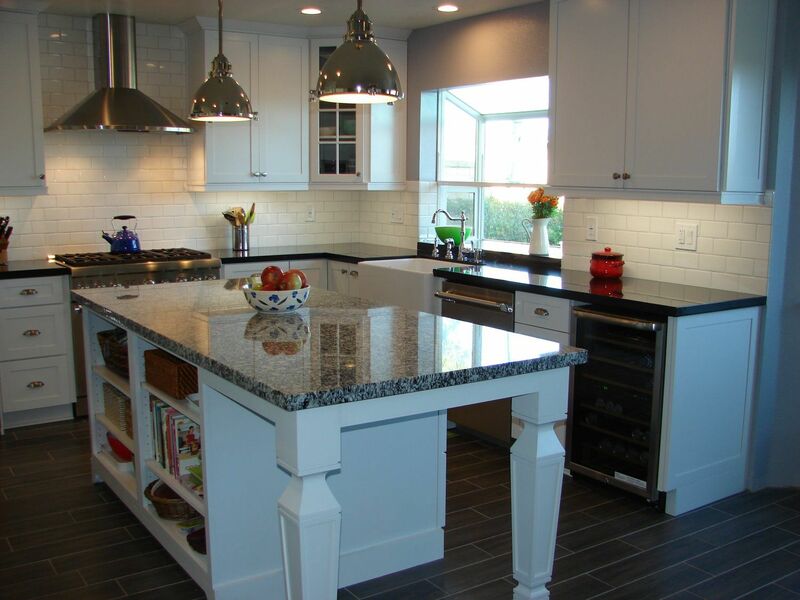 Custom’s claims that the grout is stain and fade resistant and it has Microban so, it fights bacteria as well. Adding recessed can lights will not only brighten your kitchen but, they could save you money. recessed lighting should be used as space lighting. In other words, it should light the are you walk around in and not be used for actual tasks. The exception may be to add a can above you sink. try to use LED. They have come a long way and the only real light that manufacturers are putting any R and D into. For a more contemporary look you may use a light with a 5,000 kelvin rating as it has a brighter white to bluish cast. Use 3,500 kelvin for a more traditional look as it has a more yellow cast. Well maybe this is a sixth tip but, it’s sage advice. 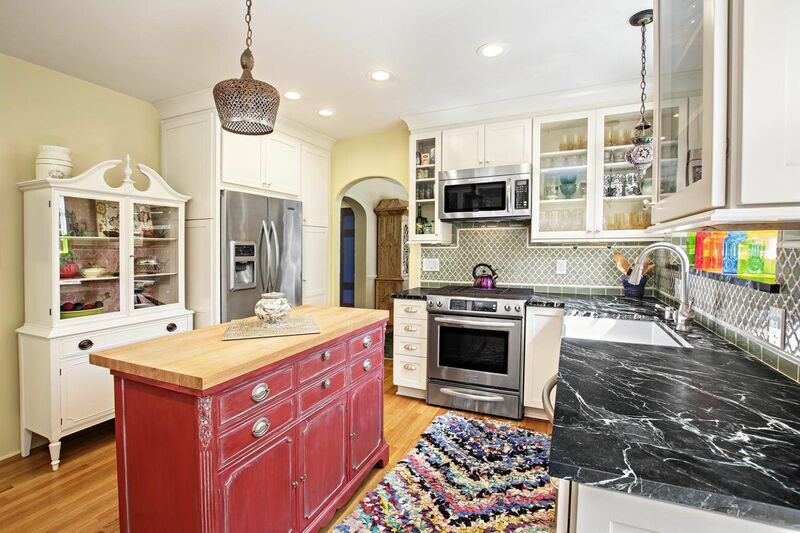 Doing a small makeover may seem simple but done wrong it just looks like your favorite home goods store regurgitated in your kitchen. If you want your existing space to look great for the holidays and don’t want to do a full remodel follow these steps and you will be the envy of the in laws.